How I miss my mum and dad who went to be with the Lord in recent years. This week, especially, I have been thinking of mum who only passed away some months ago. Old choruses that they used to sing have filled my thoughts and I feel an aching void within my heart for their company. 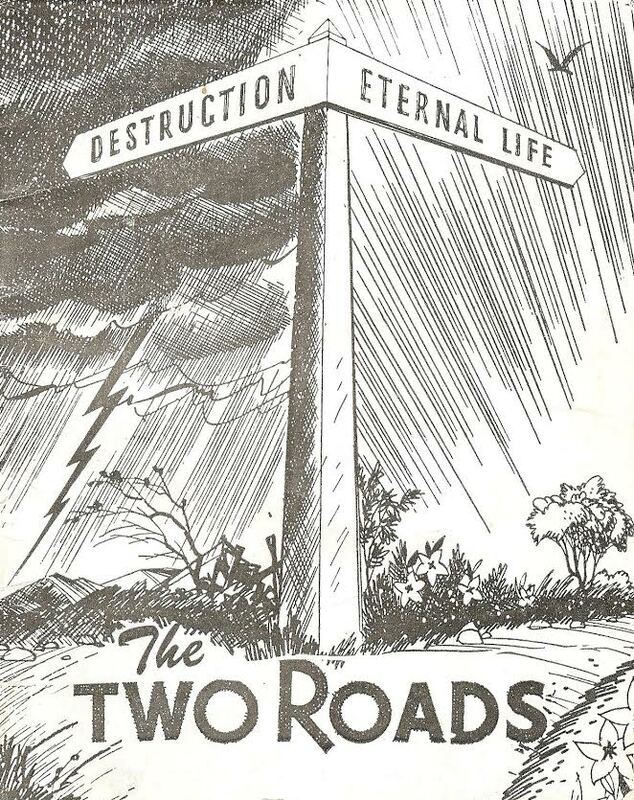 Recently I discovered a little booklet amongst all the Christian literature that they left behind. 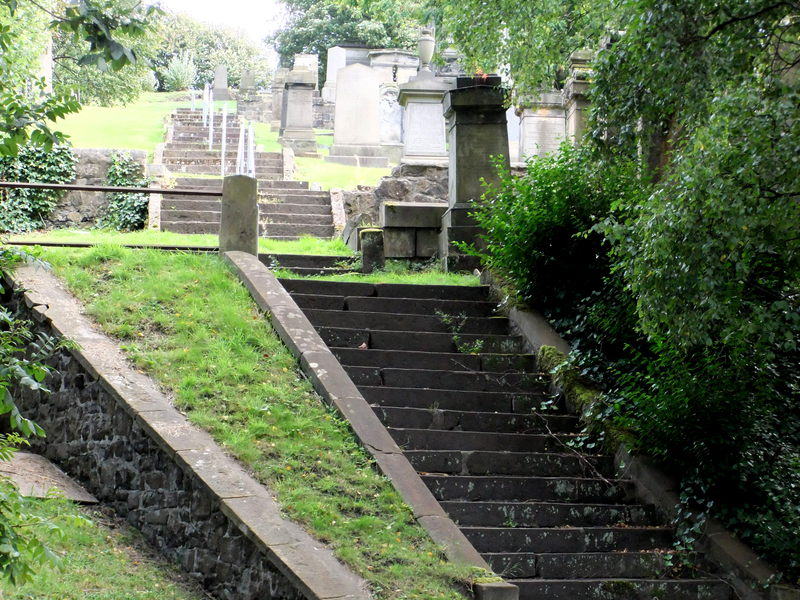 One downward to the lake. O happy throng! Will you be there? How often has it been said that the “the Blood” is rarely mentioned in modern hymns… I hope to post the first of many stories in this little booklet shortly. Surely His Word will not return unto Him void! Some time ago my daughter gave me a present of some second hand books from the Trinity College book sale. Perhaps the most interesting of these (priced at just €5) was a beautifully bound and embossed antiquarian copy of “The Pilgrim’s Progress,” something which I have only started to read for the very first time in the past few weeks. Inside this very old edition was equally old handwriting showing that it had also been given as a gift to someone on 7th August 1866. 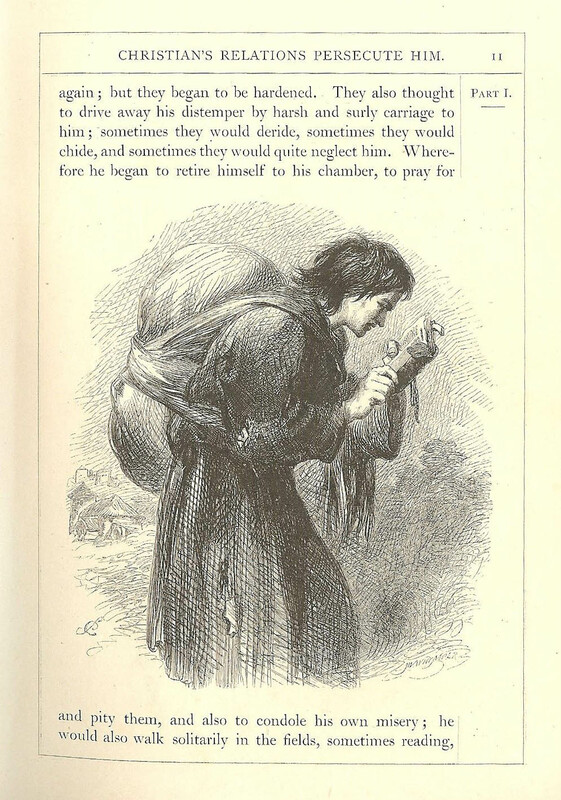 I have seen other copies of The Pilgrim’s Progress, but somehow the print was very small in these, while the larger, clearer print in this book made me just want to read it! So far I have been reading it very slowly, taking everything in, including all the Biblical references which are marked on the side of each page and I have to say that I find this allegory of the Christian life deeply fascinating and revealing so far. Sometimes I just have to smile with recognition when I encounter the places that Christian finds himself in and the people he meets! From time to time as I read of Christian’s adventures, I feel that I must write about these from a personal point of view. In our materialistic ‘throw-away’ world “The Pilgrim’s Progress” is like an alien piece of literature or a little piece of gold in a rubbish tip. I learned that it has never gone out of print since it was first published in February 1678 and that it has been translated into more than 200 languages. It has also been regarded as one of the most significant pieces of English religious literature ever written. From the outset of his journey I see that Christian’s is the path of the “few that find it” and I have a great sense of his loneliness at this point of the journey. Perhaps something that made a very real impression on me this week was when I read of Christian being confronted by ‘the lions at the palace gate’ – a sight to frighten the bravest of souls. One night I also saw a young man whom I suspected had a drug problem, being flanked by two young policewomen. On another day I took a walk into the “Quiet Room” for the first time. “A Place for Everyone” was the caption at the entrance, but on entering I felt immediately at odds with the atmosphere. I wanted to pray but somehow felt that this was not the place. In fact I felt more like praying in my car in the car park or in a quiet corner of the canteen than in that place on that particular day. Above all, it is God’s will that every man, woman, boy and girl presently alive in this world of many contrasting beliefs would hear His knock at the door of their hearts and open them to let Him in. As for those of us who name His Name, let us seek to reach others, even in the troublesome times in our own lives. If the last few weeks have taught me anything, they have taught me that life is incredibly short; too short to waste on anything other than serving my Lord and Saviour. And then one glorious day we can put the dark scenes of this life behind us for the Prophet Isaiah promises that “the ransomed of the Lord shall return, and come to Zion with songs and everlasting joy upon their heads: they shall obtain joy and gladness, and sorrow and sighing shall flee away.” (Isaiah 35v10) Praise God! 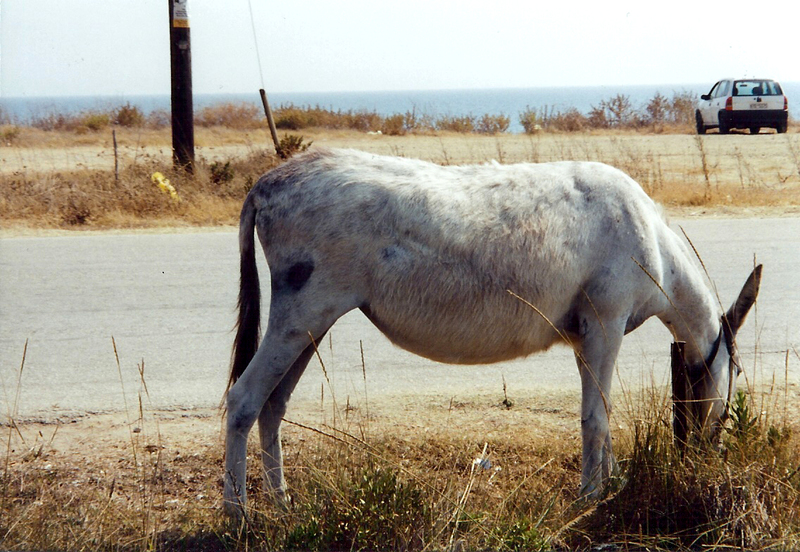 Some years ago I made friends with a little donkey on the Greek Island of Corfu. Day after day it stood tethered by the dusty roadside, looking parched in the intense heat of the sun. As I gave it some water to drink, my eyes fell on the cross upon its back… something peculiar to all donkeys I had ever seen. He could have chosen a golden chariot drawn by well-groomed horses, for after all He was the King of Glory, but as always Jesus trod the road of humility. Sometimes on a stormy Irish winter’s night while I try to sleep, my thoughts return to another time, another place… and my little donkey. Aptly named ‘beast of burden’, the donkey is universally subjected to ill-treatment. No one understands burdens more than Jesus does, for He took the burden of sin of the entire human race to Calvary – and made it His own. 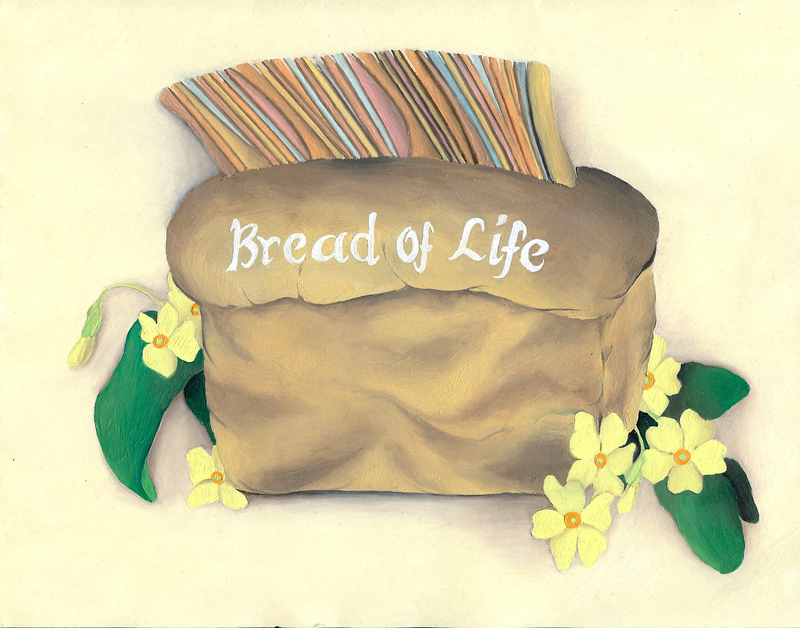 Today, as the burdens of life would press upon us, we can (like the Greeks of old) see Jesus – by faith. “Come unto me, all ye that labour and are heavy laden”, He says, “and I will give you rest. Take my yoke upon you, and learn of me: for I am meek and lowly of heart: and ye shall find rest unto your souls. For my yoke is easy, and my burden is light.” (Matt.11v28-30). Why not trust Him with your burden today, for no matter who you are or what you have done, He died to make your burdens His own! A children’s book launch party will be held in the Failte Centre, Balbriggan on Friday 19th March, between 6.30p.m. 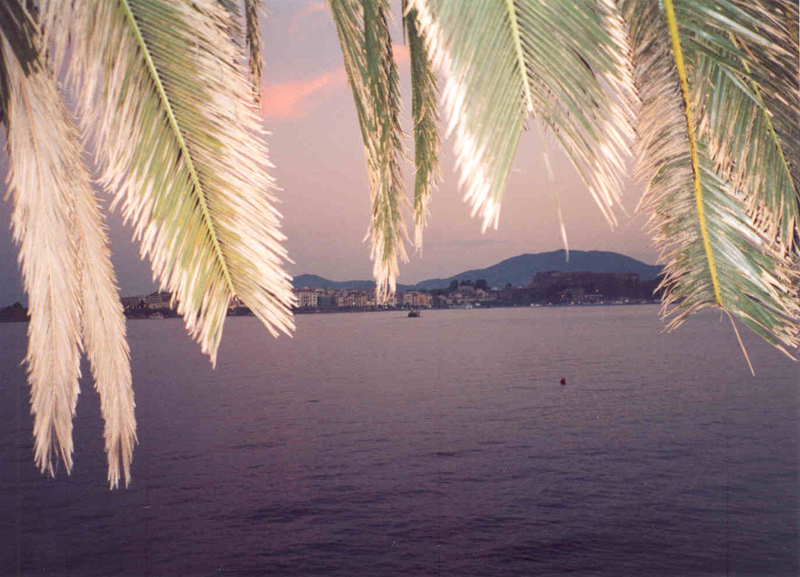 – 8.30p.m. Free bookmarks, stickers, balloons, pencils etc. while stocks last. Also light refreshments. 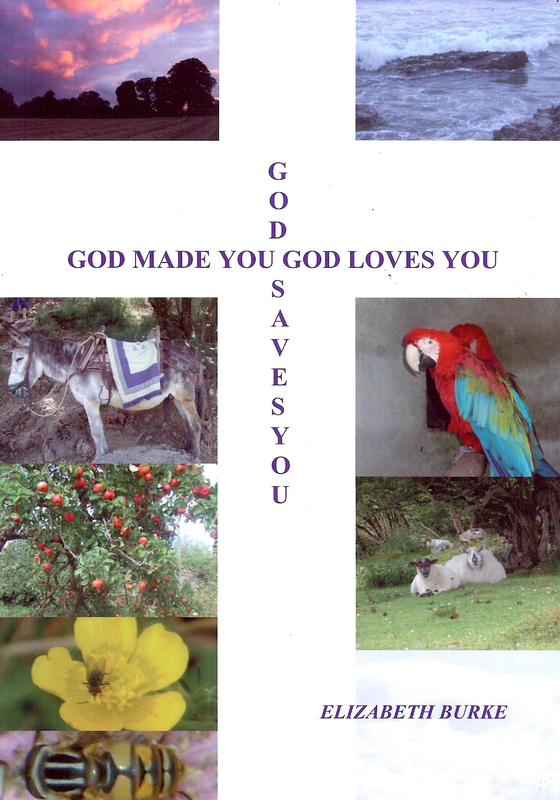 The full colour children’s book “God Made You, God Loves You, God Saves You,” will be available for just €5 at the launch! All adults/children are welcome to drop in between the above times. 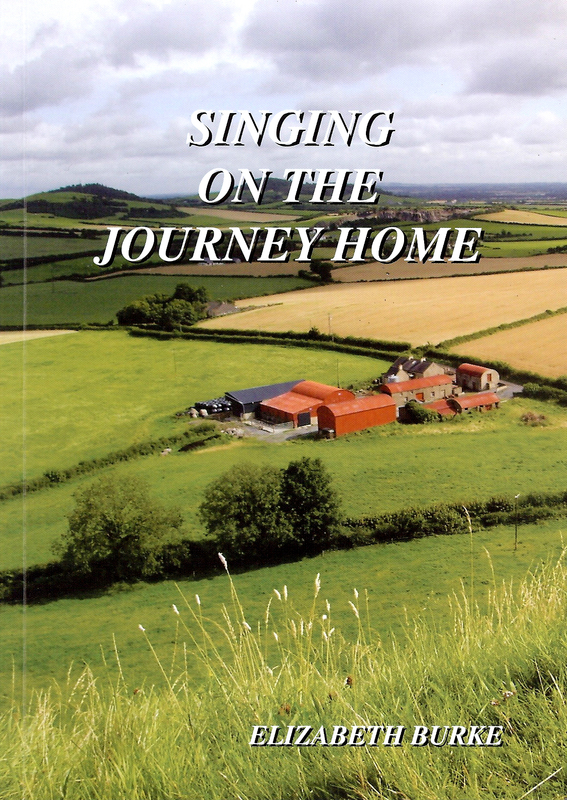 The above is based on early childhood memories of my parents ‘singing on our journeys home’ and was written to commemorate 30 years since the evening I trusted the Lord Jesus Christ as Saviour. 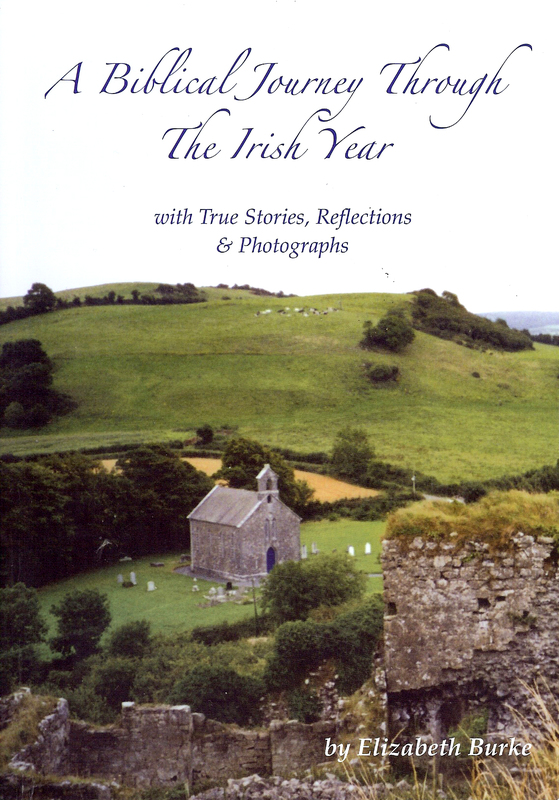 For each year I have written a little story from my life’s experiences, while linked with these stories are appropriate favourite hymns and colour photographs from Ireland; a few reflecting international travel over my years. 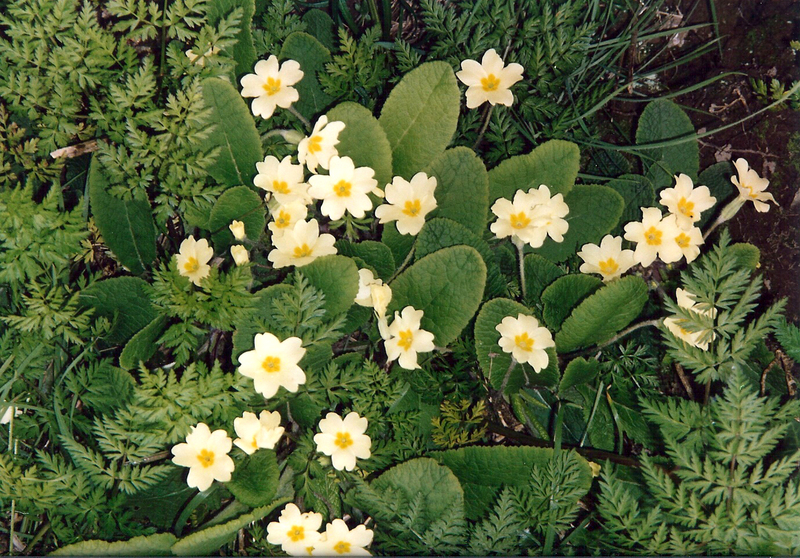 Wherever possible I have researched the background to the old hymns quoted – material in itself which makes interesting reading. Although a few of the hymns are obscure and little is known about their authors, I felt that I must include them because their words have touched me at certain stages on my life’s journey. The book includes early childhood memories and life before coming to know the Lord; events which led to my salvation; and then many little experiences which occurred during my life of faith. Some of these are more dramatic than others, but they all have one common theme… with God all things are possible! The above is a full colour autobiographical/devotional taking the reader on a journey through the seasons of the year. There are twenty-four chapters in all, each one containing a true story. At the close of each chapter is a full colour photograph of a scene or object lesson, based on the story told. Also included are two original paintings by my mother and daughter.